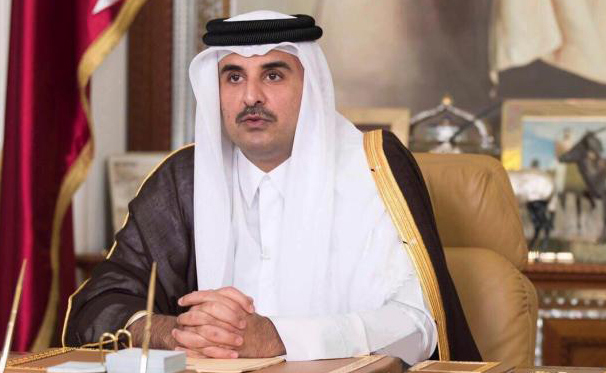 BEIJING, Jan 25 (APP)::Qatar’s ruler Sheikh Tamim bin Hammad al-Thani will visit China later this month and discuss bilateral relations and strategic partnerships in various fields as well as exchange views on regional and international issues of common interest. The Emir is scheduled to head to the Republic of Korea, Qatar’s second-biggest trading partner, on January 27. From there he will head to Japan, his country’s top trading partner, and then China, according to China Global Television Network on Friday.This marks the Emir’s second visit to China as Qatar’s ruler, having the first visit to the country in November 2014. Relations between Doha and Beijing have grown in recent years. China now ranks as Qatar’s third-largest trading partner, with almost 11 billion US dollars worth of trade in 2017. Among the major deals agreed between the two countries is the joint venture contract won by the China Railway Construction Corporation to build Qatar’s 2022 World Cup final stadium in Lusail. Just last month, the first meeting of a China-Qatar inter-governmental strategic dialogue mechanism was held in Beijing. The Chinese side was led by State Councilor and Foreign Minister Wang Yi and the Qatari delegation was headed by Deputy Prime Minister and Minister of Foreign Affairs Sheikh Mohammed bin Abdulrahman Al Thani. Also, an agreement on mutual exemption of visas between China and Qatar took effect from December 21, 2018, which was earlier signed in July during Wang’s visit to Doha.